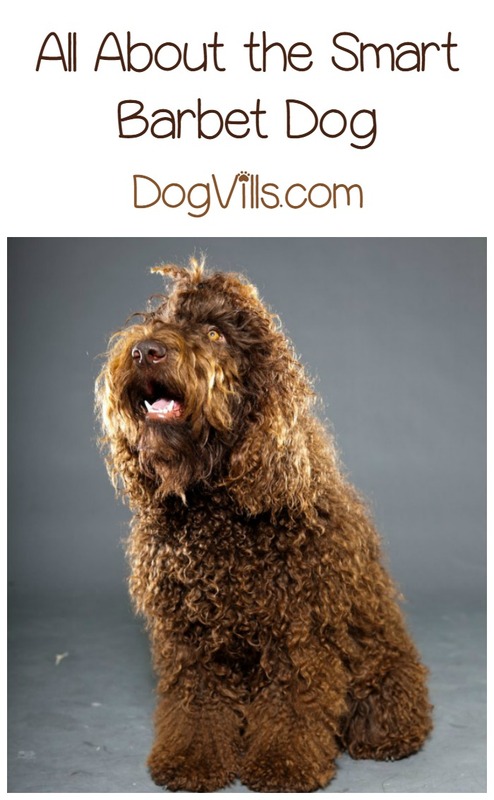 Is the Barbet a Hypoallergenic Dog Breed? The Barbet Dog is a hypoallergenic love bug of the highest order. These bouncy, curly, family-centric dogs bond absolutely with their families, and they love to be around them at all times. The Barbet dog is energetic and the perfect companion for an active family. This breed is a rare gun/water dog which originated in France. These guys have short curly hair, and they don’t shed. This makes them perfect for people with allergies. And speaking of that. This is the part of the article where we talk about what hypoallergenic means. If you’ve read any of my other posts about hypoallergenic dogs, you can skip this part. If you haven’t,, lets discuss what a hypoallergenic dog is. That’s because when a dog sheds, the hair that goes flying has a combination of dander, dried saliva, and, depending on where the hair was shed from, dried urine. That hair then flies around our houses and gets all over everything. Which means the allergens get all over everything. Which means we allergy sufferers are thoroughly miserable. A hypoallergenic dog is nothing more than a dog that doesn’t shed or that sheds very little. Little to no shedding means that the majority of the allergens stay trapped against the dogs skin rather than flying all over the house. All you need to do is bathe your hypoallergenic pooch once a week to keep those trapped allergens to a minimum, and presto – you’ve got yourself an allergy friendly pooch. Now, on to more about the Barbet dog. In addition to being hypoallergenic, Barbet dogs are friendly, joyful, obedient, and intelligent, which makes them excellent family dogs. This breed bonds deeply with their owners and they prefer to be with them at all times. Also, their tendency to want to please coupled with their ability to learn quickly makes them exceptionally easy to train. The Barbet Dog is a smart, obedient, loving dog who is always eager to be with and please his people. This breed doesn’t shed, making it an ideal choice for anyone suffering from dog allergies. As always, make adoption your first option. Check local shelters and online rescue sites before purchasing your next pooch. Chances are, you’ll find a dog who needs a forever home just like the one you have! Do you have one of these hypoallergenic dog breeds? Tell us what you love about the Barbet!